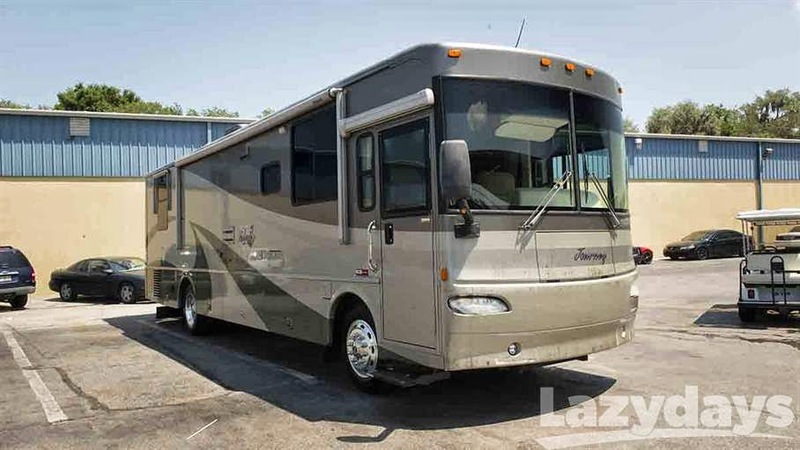 So, today I did my search and found this one on Lazy Days Rv What do you think? Not sure it will be the ONE since we still have piles to get rid of but thought I'd show you what we're looking at. The couch looks "leathery" so perfect for dogs. I love the kitchen on the right side. Not sure why it matters but for some reason that's what I'd like. And it has to have a window by the sink. Now the people who know me well will understand that! Our kitchen here in our house has the sink facing a wall. I feel claustrophobic. What were the builders thinking. In our house now we have a long, long room. It's like a bowling alley. It's about 38' long and about 7' wide. At night we pretend we're in our RV all snugged. Ozzie and Sammy are on the couch with us and Lola is at my feet. I'm thinking as long as there's a couch the boys will be happy! This afternoon I had a painting class and I get to do some of my own work as they are painting. Lola and the Boys Go on a Great Adventure. It is in all cartoon form and it's the story of our getting prepared to go told through their eyes. I'm hoping it can be an ongoing series because I'm sure they will have allot to say once we are on the road. As I mentioned I read the FORUM on IRV2 daily. Today I was reading about pets and RVing and was seeing what I have found, that many camping areas only allow 1 dog or 2. Some certain weights, then of course, the breeds NOT allowed. My Labs are about 70 lbs each and Lola is 95. Would they be denied? So again, Google is my friend, I found a great book for Kindle and also hardcopy as I have both. Pet Friendly Camping, Hotels,Places to Eat, etc. I have one place plotted for our "sea trial" then others when we head off towards NH. Great resource. My other resource is Go Pet Friendly. Again they report great places to take your pets. They are full timers and just got a beautiful, yes I'm drooling, Itasca, Meriden 40ft., Tile floors!!! No carpet. 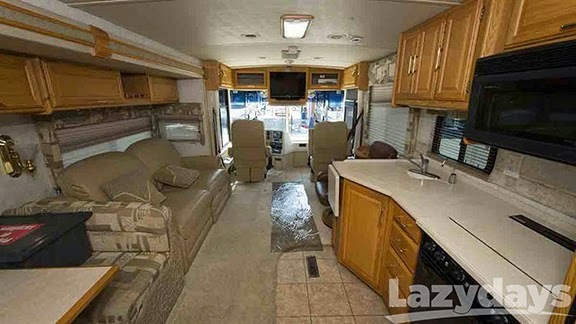 LOL Carpet will be the very first thing I haul out of our new to us home! Ok, long day, so I'm heading for the couch with Lola and Sam. Ozzie went off to agility practice with Roger. Great post and I love seeing your cartoons. Thank you!!! I hope it's the ONE!! Following your journey too!!! That's a beautiful interior - I love the layout and the colors. Thank you!! and as you know with Katie, they always have an opinion!!! lol. Hoping to pull it all together by next week. I'll end the first book with " to be continued"
It's great to see someone else that wants to travel with 3 large dogs. I have 3 large dogs also but 2 of them are short/large. It will be interesting to follow your blog and see you go through the process I have been going through the past 3 years. About to hit the road though since I retired just a few weeks ago. You're blog will be on my blog roll. Good looking dogs you have. Thanks Steve and congrats on your retirement!!! As soon as we get this place emptied Roger will retire and we'll be off too. With three big dogs you will probably understand this one. Trying to decide what to bring as in clothes ,Lola and Ozzie grab something and lay tug o war! Decision made! Let me know when you head out so I can follow your journey too! Just found your blog and am really going to enjoy following your adventure. I have decided that if we ever decide to sell everything, I am just going to have an estate sale. They will come in and sort and price everything. Worth the percentage they take. It is also amazing what people will buy at an estate sale. What we think is trash, they think is treasure. Literally! We were in Alabama for two months this winter and met a couple that traveled in their RV with 4 standard poodles and two smaller dogs! I asked if they had trouble finding campgrounds. She said they call and talk to the owners and 9 out of 10 times they were able to stay. One final thought, I wish I was an artist. I am so going to enjoy your artwork. Cathie, Just saw your blog!! Following your adventures too!!! I just found your blog. It is neat know that another artist will be full timing! I look forward to reading your blog regularly. We travel with two dogs and a cat. The dogs are much smaller, but probably are more rowdy than your critters. We sold our sticks and bricks two years ago and have never looked back. Just can't wait to see how you enjoy the full time life. I know I was excited seeing yours!! I'll be reading yours too so we can keep in touch. So happy your husband is ok!!! I so wish i lived closer! I would help you haul out!